Panama recorded 41 murders in the 31 days of January this year with the provinces of Panama and Colon the most violent. In 2018 there were 32 killings in the month. According to figures from the Public Ministry in 2018, there were a total of 439 murders nationwide, mostly gang-related. The province of Colon got the murder carnage underway with three killings on January 1 Omar Cummins, 18, was shot to death in the early hours of the New Year when heading for a party, he strayed into the wrong area during a gang territorial dispute. 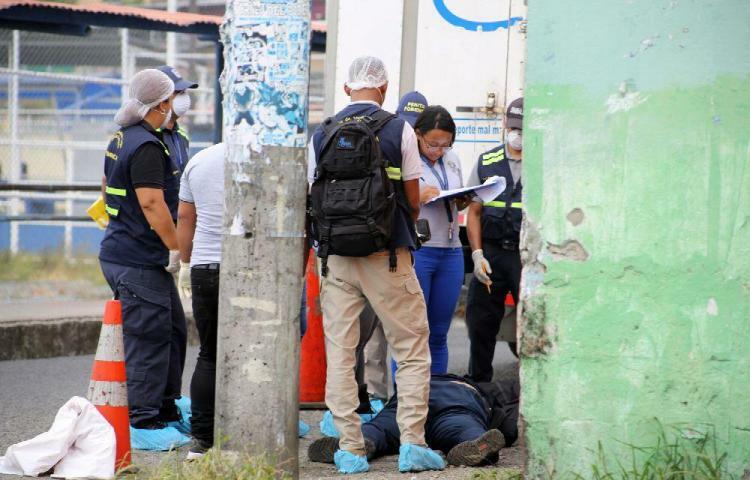 In San Miguelito, there were two homicides on the first day of the year. Venezuelan Marian Maciel Martín, a waitress at a restaurant, in Betania was an innocent victim when two armed men arrived to assassinate a customer. The gang-related killing rampage continued through the month., Luis Chifundo Scoot was gunned down in front of the police barracks in Villa del Caribe, Colón. In, Pedregal Isaac Ernesto Busto Varela 22, was out walking when he was shot and left dead on a sidewalk. 'Victor Chan Castillo, a criminal lawyer, and a professor said that the year has started very violently, so we cannot expect anything good. '”We do not have a criminal policy, we do not have a proper resocialization method either. We have all the boys stuck there but there is no rehabilitation program at the State level and tougher penalties are not having results, "he said. "I think we have to change or look for a formula matched with the national reality."